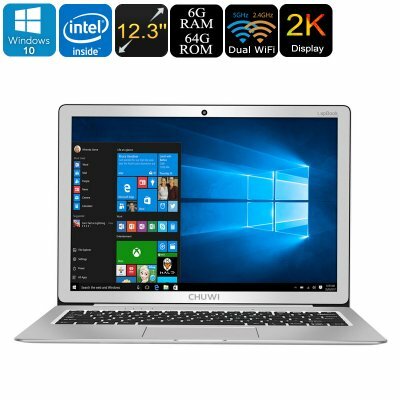 Successfully Added Chuwi Lapbook 12.3 Windows Laptop - 2K Display, Licensed Windows 10, Quad-Core CPU, 6GB DDR3 RAM, SSD Support, 12.3-Inch to your Shopping Cart. The Chuwi Lapbook 12.3 is a compact Windows laptop that is great for students and business users alike. With its lightweight design, this beautiful laptop can be carried along efficiently anywhere you go. It features a stunning 12.3-Inch display that supports a breathtaking 2736x1824p resolution. This 2K display certainly will treat you to mesmerizing visuals and details while enjoying your favorite games and media. Thanks to its IPS support, you’ll be treated to great visuals no matter your viewing angle. If you are looking for a Windows laptop that lets you enjoy your favorite media to its most, the Chuwi Lapbook 12.3 certainly is a device to consider. With its licensed Windows 10 Home operating system, it treats you to a smooth user experience. You’ll be able to use all the trusted Windows and MS Office features without encountering any lag. Your Windows laptop packs a sophisticated Intel Celeron N3450 Quad-Core processor and 6GB DDR3L RAM. This hardware puts forth a powerful performance that lets you tackle games, films, and programs without dropping a frame. The 64GB EMMC Hard Disc and 128GB SD card slot provide you with all storage needed to save your files. Dual-Band WiFi allows you to browse the web at lightning speeds when you’re at home or in the office. Your laptop comes with a whopping 8000mAh battery that brings along plenty hours of usage time. Therefore, you’ll be able to work or play games for up to 5 hours in a row without needing to recharge. It also supports Bluetooth 4.0 and comes with a mini HDMI input to further increase your overall user experience. Whether you use it for business, study, or entertainment – this Windows laptop is sure to meet your demands. 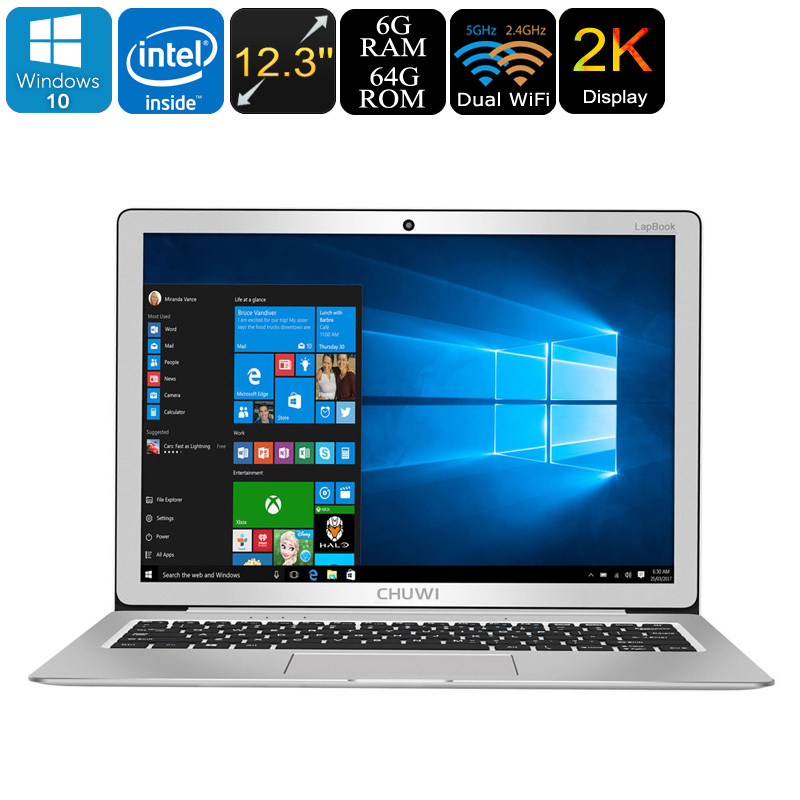 The Chuwi Lapbook 12.3 comes with a 12 months warranty, brought to you by the leader in electronic devices as well as wholesale Windows Laptops..
Windows OS is pre-installed Chinese and English, and other languages need to be downloaded.